The passing of the late Gen. Walter Jajko on Saturday, October 18, has greatly saddened us all. 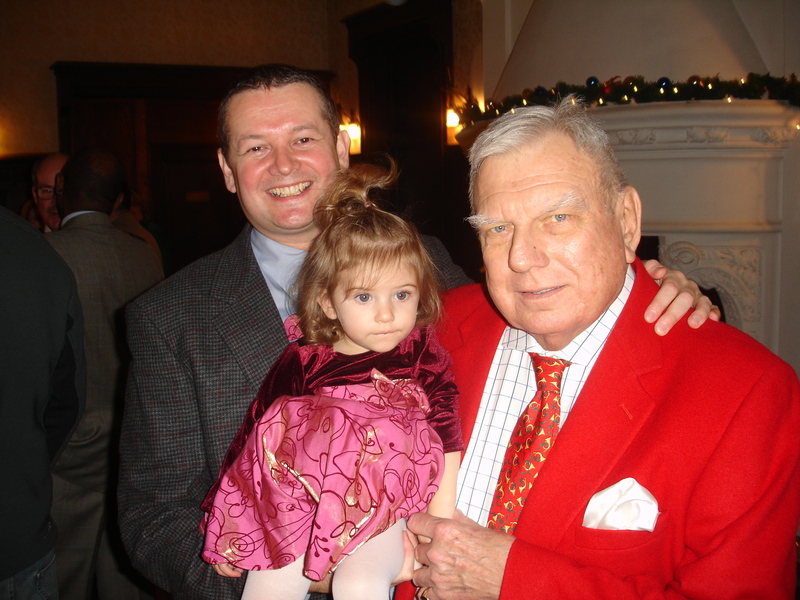 Gen. Jajko was a supporter and friend of the Kościuszko Chair of Polish Studies and a frequent participant in KC programs. 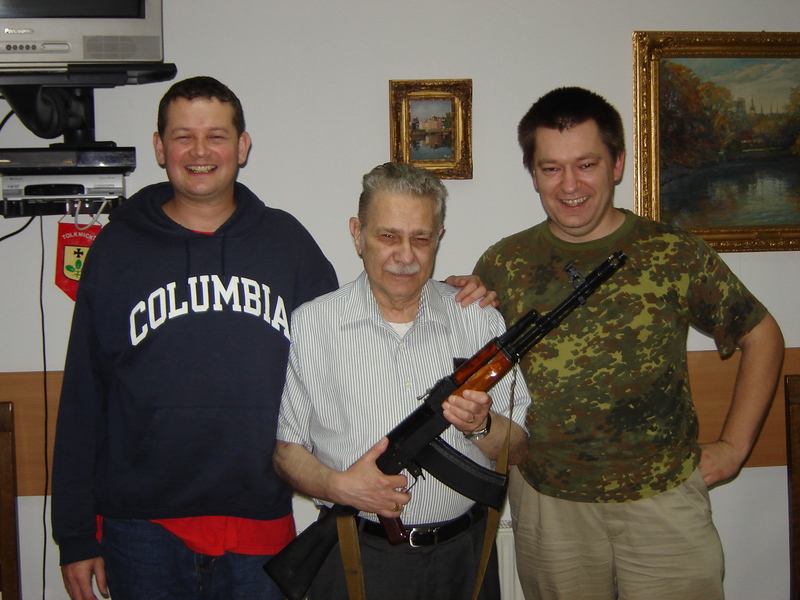 Thus, in the hope of keeping the General’s memory alive, we are posting Dr. Marek Chodakiewicz’s recollections below. The Kościuszko Chair has also decided to dedicate its upcoming Seventh Annual Conference on Saturday, November 8 to the memory of Gen. Walter Jajko. Of a few personal stories that General Walter Jajko (1937-2014) shared with me — and he was a humble and taciturn man, by temperament and profession disinclined to open up — three tales encapsulate this officer and gentleman best. The first floor corridor at The Institute of World Politics witnessed the first one. Our mutual alma materColumbia University’s faculty lounge served as the setting of the second. The third was the foyer of Saigon’s top hotel, whether the Rex or the Continental escapes me. I am listing them in a reverse chronological order and they spanned about sixty years. And they shall serve as an excuse to open a vista into the life of an extraordinary un-public intellectual par excellance. They are also a testimony to an academic institution quite unique in contemporary times, one where honor, service, and collegiality matter. The first tale concerns the time when the General still had his corner bunker, diagonal from the skiff, of the basement of the Marlatt Mansion. For some reason he came up to my first floor office on business. I was dean then. He referred to me forever hereafter, half-tongue in cheek, albeit not quite as much as I wished, as “Pan dziekan” (Sir Dean) in response to my “Panie Generale” (Sir General), a collegial semi-tease that originated with my saluting our own sans peur et sans reproche Ambassador Alberto Piedra as “Your Excellency” (with current Dean Jack Tierney responding to “Your Eminence,” late Ambassador Tom Melady as “THE Ambassador,” and the President and Founder John Lenczowski being “The Lord and Master,” while Professor emeritus Ken de Graffenreid to remain forever known as Wujek Kenski, or Uncle Ken, to complement his wife Ciocia Karolcia, or Aunt Carol). Tedious dean business settled, I resolved to walk the General back downstairs. I had just finished reading George Crile’s Charlie Wilson’s War, found Walt’s name in it, and was eager to ask some questions, for example about reasons for supplying the Oerlikon anti-aircraft gun to the mujahedeen against the Soviets in Afghanistan. “Because Charlie was sleeping with the girlfriend of a big wig in that company,” answered the General. This was the short story. A long story encapsulates both the dysfunctionality and the glory of our democratic system. The General humored me in this instance because he knew that I had volunteered to fight in Afghanistan in the mid-1980s. First of all, Walt confided in me that he had consulted a lawyer to sue the author of the book. Why? Because Crile mendaciously wrote that Walter Jajko was swearing, dropping the “F” bomb. The General never swore. I never saw him lose his temper. In fact, I doubt I know anyone who did. As for the Oerlikon, Walt did not declassify anything, but he lined the ducks up for me. The Oerlikon cannon did not make sense because, although very accurate, once in position, having fired once, it became a sitting duck, a perfect target for the Soviet Hind-type assault gunships or bombers. Further, it was very cumbersome to transport. It had to be taken apart and carried by donkeys, which, by law, had to be supplied by the American farmer, delivered to Pakistan and dispatched over the mountains, often for hundreds of miles, into Afghanistan. The Stinger rocket was the right alternative but that Wunderwaffe would hit the battlefield very late in the game for its deployment was delayed by very real strategic considerations because of the safety of our ally, Israel, lest the weapons system fell into the hands of the terrorists and was redirected away from the Soviets to target the Israelis. However, Charlie Wilson insisted, so Oerlikon it was. Ah, the power of lobbying and loving! Walt (“mów mi Władek [Walt]/call me Władek” – “Tak jest Panie Generale/Yes, Sir, General, Sir”) had more than a few other stories that, thanks to my moaning, he finally agreed to share with IWP students, faculty, and guests when he introduced our in-house screening of Charlie Wilson’s War. He told us about Miss World and Miss Universe tagging along with Charlie in Pakistan. This led to the stern objections of the use of US military aircraft for civilian purposes. The ladies were promptly barred, leaving Charlie to travel alone. That, in turn, brought a fierce retaliation by the honorable congressmen defunding this particular item and, thus, effectively grounding the entire fleet servicing US air attachés in Asia because one of them had dared to question the utility of Charlie’s deployment of feminine mystique for national security. The only thing Walt did not share that night with the audience was that, in the wake of the Soviet withdrawal from Afghanistan, the CIA failed to invite anyone from the Department of Defense to the victory party at Langley. That’s how the General put it privately to me. And I would like to add: it was a colossal failure not to acknowledge him, for he made the victory possible. Bureaucratic pettiness is a churlish thing that serves this Republic not. Another vignette of the General takes us now to Columbia University. 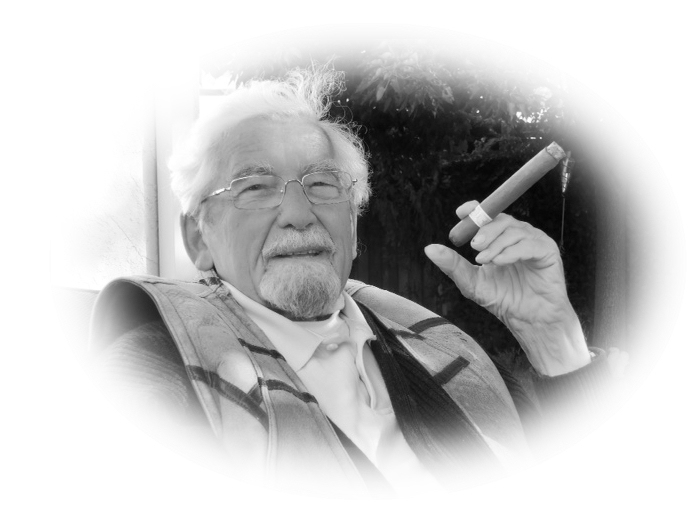 One day, Walter Jajko, then a young Air Force officer, was invited, along with a few other nascent scholarly stars, to lunch by the magnificent Oskar Halecki, THE authority on Central and Eastern Europe, the Intermarium, or the lands between the Baltic and Black seas, in particular. Walt was his student. Professor Halecki provided the intellectual mortar for the future general’s love of Polish history, which had been written on his heart at home in Philadelphia, where he was born and where he grew up. College years at University of Pennsylvania, an indispensable mid-passage, forged for him a flexible framework of Western Civilization which neatly fit in with Walt’s Catholic, universal upbringing, for faith and reason remained his permanent marching companions throughout his life. Brilliant and gentlemanly Halecki, switching interchangeably between English, French, German, Polish, and – for the benefit of his wife – Croatian, regaled the students at the lunch table with the tales of the days gone by, still resounding with the clinging of the swords of the intrepid crusaders and the maudlin chants of the cloistered friars. Surprising himself, Walt chimed in with his impressions of another graduate seminar, led by a Hungarian scholar, on the Dark Age barbarians of the Rimland steppe, which complemented his sessions with Professor Halecki. With an excited animation, quite uncharacteristic for our Air Force officer, Walt completed the allocution in the defense of Western Civilization, which he viewed as precious and fragile, from the armed horde threatening it from without and within. Obviously delighted by his brainy graduate student, Professor Halecki, as others before him at Columbia, exclaimed: “It is absolutely urgent Pan Jajko that you realize the indispensability of your remaining here to complete your Ph.D.” This was analogous to an invitation from the Pope to become an archbishop and, who knows, his successor. With his trademark understated half-smile, Walt responded: “Thank you. I am very flattered but I can’t. I must serve.” And serve he did. Yet, he never quite severed his link with academia, collecting a slew of scholarly credentials from Harvard, MIT, George Washington University, Industrial College of the Armed Forces, and Armed Forces Staff College. The third vignette brings us to the middle of the Vietnam War. Walter Jajko was stationed in Saigon at a posh hotel. He chuckled as he recalled the sumptuousness of his accommodations. Every day a shuttle would arrive to fetch him and his fellow Air Force officers to deliver them to the airport. There they would suit up and mount their bombers to fly sorties against the Communists. After each bombing run, they would return to the home base; if need be, they’d refuel, reload, and fly back. At the end of the day, they would hop on the shuttle to be delivered back to their quarters. One time, Walt alighted into the foyer of the hotel still wearing his jet pilot’s full gear, complete with the jump suit and a visored helmet, which he was hugging with one hand, while he marched smartly toward the elevators. Suddenly, Walt halted because he saw a cluster of officers in foreign uniforms, relaxing. Among them two donned Polish military dress outfits, albeit besmirched with an eagle stripped of its crown by the Soviet-installed puppet regime in Warsaw. Indubitably, they were Communists. “A crow, not an eagle,” the Air Force ace thought. His curiosity piqued, he approached the group. He zeroed in on the crow-crested duo. “What are you doing here?” he demanded politely but firmly, addressing them in Polish. They were visibly startled at first to see an American officer fluent in their language. Having collected themselves rather quickly, however, they responded self-importantly: “We are observers with the United Nations mission in Vietnam. And you?” Walt deadpanned: “I’m here to kill Communists.” Then he turned around and walked away. And that was the mission of his life: He served to stop the barbarians threatening our civilization. He fought for freedom. I cracked two pseudo-jokes about this story. “Did you consider, Pan General, that one of the crow-crested officers could have been Colonel Ryszard Kukliński, who soon after defected from the reds and became, arguably, the greatest asset of the CIA in the Cold War?” “Hm. If it was him, he was on the wrong side when we met.” Then I asked about killing the Communists. The response: “I have never felt remorse about bombing them.” For him, “War truly is ultima ratio,” as he wrote in his brilliantly trenchant Military Strategy: Thoughts Toward a Critique(Washington, DC: The Institute of World Politics Press, 2014, p. 12). It was also a paradox, personal and political: “All wars are horrible, but, for that, they can be no less useful, effective, necessary, and justifiable” (p. 50). To understand what he means let us look at four pictures that adored the walls of his office: Saint Mary, whom the Poles consider Our Lady the Queen of Poland and the Queen of Mercy; Sun Tsu, who conceptualized war without war; Marshal Józef Piłsudski, who is credited with brilliantly defeating the Bolsheviks at the gates of Warsaw in 1920, the only time in history the Red Army was vanquished in the field; and General William Tecumseh Sherman, who ruthlessly waged total war to preserve the Union. The quartet guided General Jajko to abhor senseless violence (“if military operations have no [just] political objective, then they are merely mayhem and murder,” p. 9); to prefer to deploy the measures that compel the enemy to surrender without resorting to violence; to support just war as a moral, if gruesome venue to peace; and, ultimately, to show mercy to the defeated. Then, apropos just war and Vietnam, I reminded Walt what an American Polish pilot, baron von Dangel — whose grandmother the Soviets had tortured and killed before his very eyes when he turned five — wrote on his bombs during the Vietnamese conflict: “Za babcię!”: “for my grandma!” Vietnam thus was a just war. “How do you know about von Dangel?” the General raised his eyebrows slightly, which for him was a sign of maximum astonishment, and added: “I flew with him.” Now it was my jaw’s turn to drop. “Oh, I did not know that you were with the CIA’s Air America. Von Dangel is from Wilno, where my father was born. My friend Henio Skwarczyński saw the baron last on Bora Bora.” “That is classified,” the General killed the topic firmly. There were two ways for him to stay quiet: either cut himself off in mid-sentence and look in his interlocutor’s eyes; or mumble a little and wonder off. “Every diplomat is a spy,” he would repeat sometime. Live and learn tradecraft. That is just cream on the cake. Here is what’s missing: in a nutshell. Walter (Władysław – “Władek”) Jajko Jr. was born in Philadelphia in 1937. His father, also Władysław, had been a captain in the Polish army. However, since Jajko senior, a supporter of the center-right Farmer Party “Piast,” had fallen afoul of the mild leftist dictatorship of the sanacja, he resolved to emigrate to America, where he and his wife Aniela had several children, Walt being the eldest. 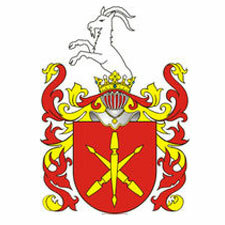 The Jajkos/Jajko/Jajkowski (of the Jelita clan and coat of arms) were ancient Polish nobility, knights (rycerstwo/rycerz). They fought in Poland’s wars and insurrections; but mostly they farmed. Their landed estate was in the Sub-Carpathian region south of Cracow around Limanowa. My favorite pre-1914 story has the grandfather of the General racing his chaice (bryczka), a horse and buggy vehicle, against his distant relative, the Count Dzieduszycki. As the competitors were approaching the crossroads on the converging tracks with Pan Jajko at a visible advantage, the enraged Count fired at him from his ancient front loaded pistol which caused the racer to balk and lose the game to the great delight of the unfair competitor. Now it should become clear why the General’s vanity plates on his cars read: Rycerz (knight) and Bryczka (chaice). In America, Władek was brought up speaking Polish, deeply seeped in the Polish tradition and the Catholic religion. His family imparted to him the ethos of service that functioned strongly among the Polish nobility and rubbed off on the Polish intelligentsia of all backgrounds. We serve, the commandment went, because God blessed us more than others, and therefore we have an obligation to those who are less fortunate. We serve God, Honor, and Country. We serve a Cause that is greater than ourselves. Walter Jajko internalized such lessons. And they went hand in glove with his American dream. He found the best outlet for his ideas in public service in general, and in US military, the Air Force, in particular. Whenever he could, he remained involved with the Polonia, the Polish-American community. At one point, he helped edit The Polish Review, flagship publication of the Polish Institute of Arts and Sciences (PIASA) founded by Oskar Halecki and other exiles from Nazism and Communism. He lectured for the Polish-American Congress. He contributed to publications such as The Sarmatian Review here in the US and Gazeta Polska back in Poland. Naturally enough, Walt assisted in virtually all undertakings of the Kościuszko Chair in Polish Studies at The Institute of World Politics. He mentored our Polish and Polish American interns most readily. He helped with my monograph on the Intermarium and other projects. He took lectures and speeches developed for us and shared them with the world outside. He stood squarely on our side in all our controversies. Along with Professor Gene Poteat, the General became a great champion of uncovering the circumstances of Poland’s presidential plane catastrophe of April 2010. Increasingly ill, he prepared remarks and talking points on Ukraine, which I included (properly acknowledged) in my public lectures about the crisis. We brainstormed together. I frequently supplied him with the newest material on Polish history and current events. Walt was most touched by a mammoth picture album of Poland’s anti-Nazi underground transitioning to the anti-Communist insurgency, the so-called Cursed Soldiers (żołnierze wyklęci), 1944-1963. His bright blue eyes turned to steel gray as he was leafing through the pages. He only had one complaint about me: “Why do you keep scheduling the Kościuszko Military lecture in September? I must report to my commander in chief.” He was referring to his wife Marilyn, whose birthday falls then. The General had a favorite Afghan restaurant to take her to. Walt only had one regret: “I rue the day the American people elected this person to be the president of the United States.” His bumper sticker read: Impeach Obama. His favorite president was Ronald Reagan of course. Walter Jajko was sick and slowly declining for about 10 years. “Don’t get old,” was his advice to me. Cancer was eating away at him. In March 2014 there was a respite; the treatment seemed to have arrested the metastasization. “God is generous” (Bóg jest szczodrobliwy), the General exclaimed. But it was up and down with him. About two years ago, on and off, we started delivering him to school. First, it was once in a blue moon as he insisted on driving himself. In spring 2014 the joint trips became more frequent. Usually, I would bring him to IWP and, since his class got out at 5:00pm but my duties were over only before 10:00pm, I would ask either an intern or Kościuszko Chair’s researcher Paweł Styrna to drive the General back home. This was a fantastic mentoring opportunity for them. An hour drive with Walt’s stories, dispensed with his famous restraint. And he took care of his students until the very end. He called in with instructions as he was being transported in an ambulance and then he dictated an outline for the classes from his hospital death bed. I treasure my memories of the General. I am only sorry that I declined once when he invited me to tea at his house after I dropped him off. It was getting late; I still had an hour to drive home; I was tired. I was stupid; I thought he would be around forever. Carpe diem. One day Walt and I were driving by the Pentagon, and he pointed at the soaring, roaring US Air Force Memorial: “The missing man formation.” He will be missed, the most understated intellectual, moral, and military warrior of my life. This entry was posted in Articles, Western Civilization on October 24, 2014 by IWP. Herb Romerstein has just passed away. He was very ill for a couple of years. Yet, not so long ago, after the Venona decrypts became, ahem, available to the public, he stood up at a conference and yelled at a detractor: “You traitor! You were a paid agent of Stalin.” Guilty as charged. A friend, a colleague, a mentor, a politically incorrect joker in residence, and a Red-hunter extraordinaire, Herb had a fire in his belly (to quote his wife, Pat) second to none. That simply means that he cared very much. By the way, when I say Herb, I should explain that I also mean Pat, Mrs. Romerstein. One did not exist without the other. They fulfilled and complemented each other. Period. It all started with a double blind date; they ditched their designated partners, fell in love, and never looked back. But I should stop stealing Professor Lee Edwards’s lines. I will therefore stick to the Polish angle of Herb’s story. True, he was born in New York, but he was attuned to the world and cared about it a great deal as if his mother had had him somewhere in Warsaw. As a matter of fact, Herb used to say, his family was from “Poland.” More precisely, his grandfather was from Mir outside of Wilno (Vilnius, now in Lithuania) and Nowogródek (Navahrudak, now in Belarus). Incidentally, Herb knew that when his grandfather was born, Poland did not exist, having had been partitioned between Russia, Prussia, and Austria at the end of the 18th century. But his grandfather, who fled his domicile to America to avoid service in the army of the Tsar, taught him to refer to his place of birth as “Poland,” and to themselves as “Polish Jews,” and not Russian ones, or the Litvaks, God forbid. That is telling. His grandfather taught him to care about that place. Herb thus had a tie to Poland from the very beginning, admittedly a tenuous one, which he would however strengthen as life went on. But first he became a Communist. Why? Well, in the 1930s, he lived in a German, Irish, and Italian neighborhood of New York City. The neighborhood kids loved Hitler. Why? The Irish hated the English, Rome was an ally of Berlin and shared some of its ideology. And the German attitude is self-explanatory, Herb would chuckle. Only the local Jewish kids opposed Nazi Germany. And some of them were drawn to the Communists who were the most vociferous in their denunciations of the Third Reich and itsFührer. Herb was one of them until his grandfather caught him, put him across his knee, and gave him a good drubbing. The grandfather was a Bundist, a Jewish Marxist. I would make a face and wince; and Herb would explain: “Calm down. Being a Polish Jew and a Marxist from a party the Bolsheviks suppressed made him an anti-Communist. And it made me an anti-Communist. And it also taught me to appeal to the leftists to desist from swooning over Moscow.” The Korean War drove that reality vividly home for Herb. From then on it was knives drawn against the reds. And Herb never forgot to fight the browns, either. He loved freedom. Hence, he hated both totalitarianisms. During the war and after, Herb served in the military. And then he entered another kind of government service. Among other things, he worked for the House Committee on Anti-American activities. He hunted the red subversives abroad, in Europe mostly. At the height of the Cold War he boosted the Russian émigré trades unionists and other leftist alternatives to Communism. Later, he would neutralize the Communists, Soviet agents of influence, and a bevy of useful idiots in the Western European peace movement. He even defended, in deed and word, the Ukrainian nationalists from the KGB. Naturally, the intrepid Commie hunter supported Poland’s “Solidarity,” officially and unofficially. And throughout, he fought the Soviet lie of Katyn. Last but not least, Herb penetrated into the bowels of the disintegrating Soviet empire, where at its very heart, in Moscow, he was buying up all he could on the archive market. Our professor knew his stuff. No one could dupe him, and the post-Soviets did attempt to peddle junk to him on many an occasion. Herb would sneer at them, while, to me and others, he would bemoan the imbecility of the CIA which was “not interested in history,” and was not supporting financially or otherwise such research ventures into the lands of the former Evil Empire. Still, he amassed a virtual treasure trove of documents, including on Polish affairs, which Herb generously shared with me. Most of them are at the Hoover now, thanks to the aquiline eye for archival treasure of Dr. Maciej Siekierski. Aside from the gripes at the unbearable lightness of being of the bureaucrats in the intelligence community, Herb’s greatest pet peeve was the Hill. He stressed that most of the fighting of the Cold War took place in Congress. Without U.S. leftists, fellow travelers, agents of influence, progressive dupes, and others, the Cold War would have been won much earlier. Whenever he was back stateside, Herb would be stomping out the domestic-bred reds with a variety of outfits, including the New York Police Department. My favorite story, however, is about the browns. After Herb was done chasing the Commies in New York City, he was tasked with tackling the Ku Klux Klan in the area. Our bad guy hunter even tricked himself out in a spiffy KKK outfit. He duly infiltrated that nefarious organization. Alas, it turned out that out of seven people in the leadership six were either law enforcement or snitches. But I digress. Well, not really. There’s a Polish story to the KKK, too. Herb loved to mentor young people. And he shared his crazy adventures with a few of them. Lest Professor J. Michael Waller reacts to this with his customary forgiveness and warmth, I am not going to talk about the appreciation of his own talents by Herb back in college, but, rather, I will focus on a few of our Polish interns. Two of them hit it off with Professor Romerstein in particular: our IWP doctoral fellow Piotr Gontarczyk, Ph.D., and Wojciech Jerzy Muszyński, who was a graduate student when he came to us, but has earned his Ph.D. since and is a brilliant historian. And so is Dr. Gontarczyk. As far as Piotr, I asked Herb to elaborate for him on my stories of the anti-Communist Zionist-Revisionists that I had told the Polish kids (and written in my books), while mentoring them during my sojourn in Poland in the 1990s. In particular, I explained about the greatly neglected Jewish Military Union (Irgun Zwoi Leumi), whose fighters hoisted the Jewish and Polish flags during the Warsaw Ghetto Uprising of April 1943 to the great fury of the Germans. Herb took to the task with a gusto. Piotr returned to Poland and helped make a documentary on the Revisionists. Their contributions have now been amply recognized not only on the Polish Right but also at the popular level. Kudos to Herb and Piotr. And then there is Albert. Oh, my goodness. Mrs. Romerstein called Herb and Albert the Siamese twins. They were joined at the hip. They had similar facial expressions; they had similar interests; they were passionate about similar things. They rattled off anecdotes and historical minutia like machine guns: “No, this was the 27th and not the 28th Waffen-SS division.” “Absolutely, he was a major in the NKVD in the Gulag, but later he was reassigned to New York.” They knew their stuff. Herb and Albert were inseparable. They should have gotten married. As Pat rolled her eyes, Herb and Albert scouted flea markets in the post-Soviet zone. “No, this is a fake ghetto police badge,” they would shout in unison to a black market vendor. They would pick up Nazi paraphernalia, or Communist trinkets. Both avid hoarders and fanatical collectors, they loved to share their loot, but only with themselves, sniffing suspiciously when anyone approached their stash. And they laughed heartily at everything, infecting everyone with their sick jokes. Together they donned bizarre historical uniforms, e.g., Stasi regalia. And the infamous duo never relented. Sick, sick, sick! We all loved their jokes. Herb knew what was right and wrong. He always came to my rescue whenever I was in trouble. He was intrepid. And the courage and the humor never ended. And it never will, as we promise to carry on the way Herb would like us to. Requiesce in pace, my friend. I can’t do kaddish, but I’ll give it my prayer. Please click here for a New York Times article about Herb Romerstein. Photo: Herb Romerstein, during one of his Polish trips, near Królewiec/Königsberg/Kaliningrad with a trophy acquired in the old USSR. Dr. C on the left, Albert to the right. This entry was posted in News, Western Civilization on May 9, 2013 by IWP. Dr. Marek Jan Chodakiewicz’s Intermarium: The Land Between the Black and Baltic Seas (Piscataway, NJ: Transaction Publishers, 2012) is now available in a convenient eBook form. Thus, it can now be read using Kindle, Nook, Kobo, Sony eReader, and many other devices. The book is a history of Central and Eastern Europe and attempts to restore the region between the Black and Baltic Seas—which for centuries constituted the Polish-Lithuanian Commonwealth—as a historical and cultural entity of its own. This is a long-awaited response to and corrective of hostile narratives inspired by the propaganda of powers which invaded, partitioned, and occupied the Intermarium during various periods of its history. Dr. Chodakiewicz, however, encourages us to view this eastern rampart of the West not from the perspective of Moscow or Berlin, but through the eyes of its own people, who are slowly rediscovering their roots after decades of destructive communism. To purchase your Intermarium eBook please visit the Transaction Publishers website. This entry was posted in Books, Intermarium, News, Poland, Polish History, Western Civilization and tagged Chodakiewicz, Intermarium, Polish-Lithuanian Commonwealth, Rzeczpospolita on February 8, 2013 by Pawel Styrna. A version of this article was posted here: “Responding to Distortions About Poland’s Catholic Church by The New York Times,” The Post Eagle [Clifton, NJ] 6 February 2013. Your obituary of late Cardinal Joseph Glemp, Catholic Primate Emeritus of Poland, was rather uncharitable and inaccurate. First, Glemp’s predecessor, Cardinal Stefan Wyszyński, was not “a thundering autocrat” but a realistic politician, suave diplomat, and firm prelate. He was no Cardinal József Mindszenty who defended Hungary’s Catholic Christianity through public defiance of the Communists. His Polish counterpart usually avoided open confrontation with the Soviet puppet-regime and preferred to work for the Church and his flock behind the scenes. While remaining unbending about the principles, which eventually landed him in jail, Wyszyński preferred tactical compromise. Most of all, Wyszyński wanted to prevent bloodshed and always opposed violence. He was Glemp’s master. The latter’s tenure as a primate should be viewed as continuity of Wyszyński’s line without the master’s royal charisma. It is inaccurate to separate the policies of both men. Second, you dwell on Glemp’s awkward statements about Jewish-Catholic/Polish relations which caused the churchman to be “dogged by the allegations of anti-Semitism.” The quotation you use about “dear Jews” and “esteemed Jews” reflects the spirit of love and reconciliation with which Glemp thought he was infusing his message to the Jewish people. Then he proceeded to structure his speech with unfortunate clichés which, by the way, continue to function widely around the world. For example, they were replicated recently by Rupert Murdoch who was reprimanded by the ADL’s Abraham Foxman for it. Like Murdoch, Glemp apologized several times for offending. Give him a break, posthumously at least. Third, you have broached the topic of the Carmelite convent at Auschwitz. Yet, you fail to explain the controversy fairly. Pace your opinion, the Vatican did not agree to move the convent in 1987. A solitary liberal Polish Catholic bishop did make a vague and unauthorized sympathetic statement at a Swiss meeting with Jewish leaders who took it seriously as a promise and pressed resolutely toward that objective afterwards. A crisis ensued, for no one on the Catholic side was prepared to deal with the issue comprehensively. So much for the origins of the campaign to evict the nuns, which was eventually adjudicated by Pope John Paul II to conform with the Jewish sensitivities. Further, you have also failed to explain the reason for the presence of the Carmelites at Auschwitz. Most victims, over 1.1 million (and not “millions” as you would have it), of this death factory were Jewish. However, it has escaped you that about 150,000 of them were Polish Catholics. In the 1980s, the nuns set up a convent close to a Nazi execution spot, where Christians, mostly Catholics, had been killed, to pray for all victims. Since the nuns were not experts on Jewish theology, they had no idea that it would be offensive to the Orthodox adherents of Judaism and their supporters to do so. In fact, most Christians were astounded to learn that. The nuns had no clue that the spirit of ecumenism was unwelcome in this instance. Moreover, their convent was quite far away from the main killing ground of Auschwitz, the death camp at Birkenau where the bulk of the Jewish victims had perished. That Auschwitz was also a slaughterhouse for the Christian Poles has been acknowledged by no less a place than the US Holocaust Memorial Museum, which—on Holocaust Memorial Day, coinciding with the Soviet entry into Auschwitz in January 1945—recognizes one of the Polish resistance heroes, Captain Witold Pilecki, who volunteered to be arrested by the Nazis and taken to Auschwitz so he could inform the world about this secret German installation. A few words about such common historical facts would have contextualized the Carmelite convent controversy properly and anchored Glemp’s support for the nuns accordingly. Fourth, your facts about Jedwabne are incorrect. A preliminary archeological and forensic investigation, terminated prematurely by the Polish authorities because of the pressure of a few rabbis (because of Jewish Orthodox strictures against handling human remains), suggests that the victims were not “1,600” but perhaps 300, and that there were bullet casings present at the crime scene. Since carrying arms was a capital crime for anyone not German in Nazi-occupied Poland, the perpetrators had to be the Nazi police or military. My own work strongly points to German complicity in the murder with some local help: The Massacre in Jedwabne, July 10, 1941: Before, During, After (Columbia University Press/East European Monographs, 2005). Since the Jedwabne murder was not properly investigated in 2001, Glemp refused to participate in the phony show of lachrymosity that the post-Communist President Aleksander Kwasniewski put on to score political points and deflect accusations of complicity of his “social-democratic” party, including some in his immediate entourage, for the anti-Semitic campaign of 1968. The Cardinal refused to help the post-Communists to legitimize themselves and to dupe the West. Instead, he held a high profile church service in Warsaw begging Jews for forgiveness for the Polish sins against them. This somehow escaped you. Fifth, you also tar Poland’s only evangelical radio station—Radio Maryja—with a brush of anti-Semitism. In 2007 a team of leftist graduate students led by a former Communist party member now turned liberal gay scholar monitored the radio 24/7 for a month and, to their own shock and dismay, found no trace of anti-Semitism in its broadcasting. The results were published as Ireneusz Krzemiński, ed., Czego nas uczy Radio Maryja [What we learn from Radio Maryja] (Warsaw: Wydawnictwo Akademickie i Profesjonalne, 2009). Please check your facts more carefully. Sixth, you write that “despite an increasingly secularized population, Cardinal Glemp advanced his agenda” in the public square, supporting Catholic education and pro-life legislation. It was not Glemp’s private agenda but, rather, the Catholic Church’s. And the Church consists both of the religious and the laity, the people. Since the Poles remain overwhelmingly Catholic the reforms introduced in the 1990s after the collapse of Communism still stand. They reversed democratically previous legislation that had been imposed on Poland by totalitarianism. That much should be obvious even to you. Printing this would do much to reverse a sordid legacy of The New York Times’ almost invariable provision of negative commentary on Poland and her affairs since the middle of the 19th century. Don’t take my word for it. IWP’s Kościuszko Chair assistant Pawel Styra has prepared a scholarly monograph on the topic. Time to face the music. This entry was posted in News, Poland, Western Civilization and tagged Ireneusz Krzeminski, Jozef Glemp, Jozsef Mindszenty, New York Times, Radio Maryja, Stefan Wyszynski on January 28, 2013 by Pawel Styrna.